Yes, you are just walking along in Madrid and wham! There happens to be some monumental piece of art right there. 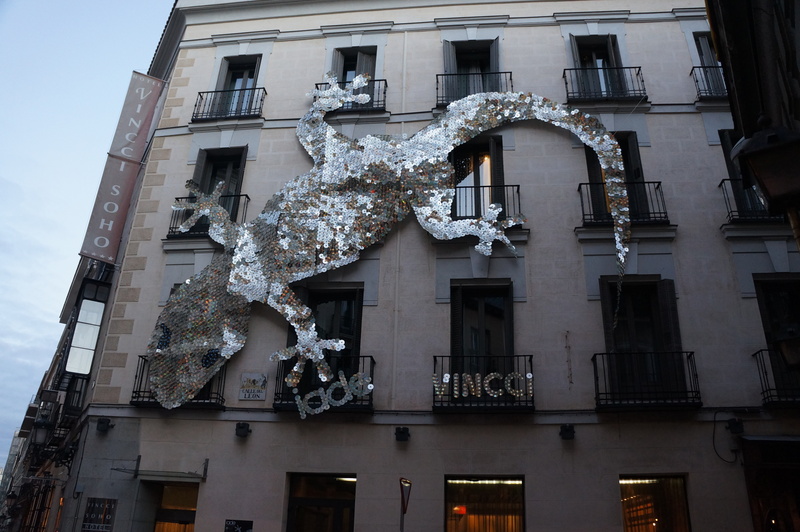 Why not put an enormous lizard made out of CDs on the side of a building? I wonder how they talked the people in those rooms to give up their windows. 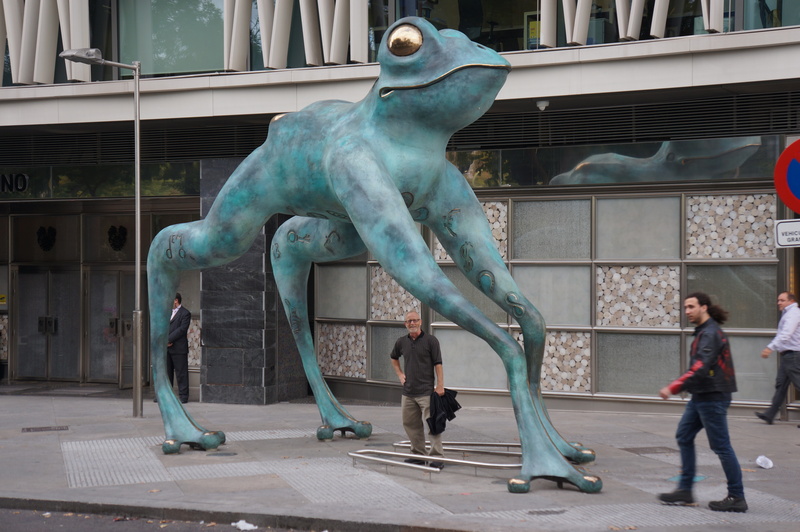 Or why not install a bronze frog the size of a small house on the sidewalk? 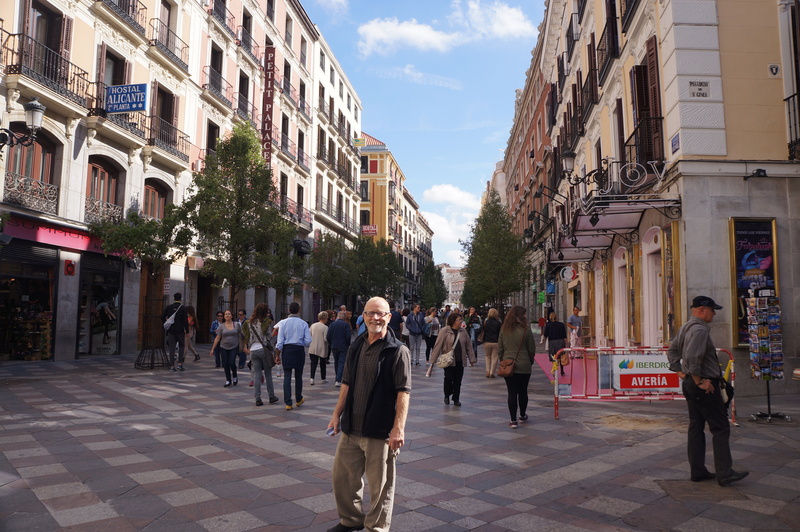 Here we are on Calle del Arenal, a huge pedestrian corridor that hosts many live art performances. Madrid loses its stuffy capital city ambiance when you walk the streets and observe the creativity that permeates this place.